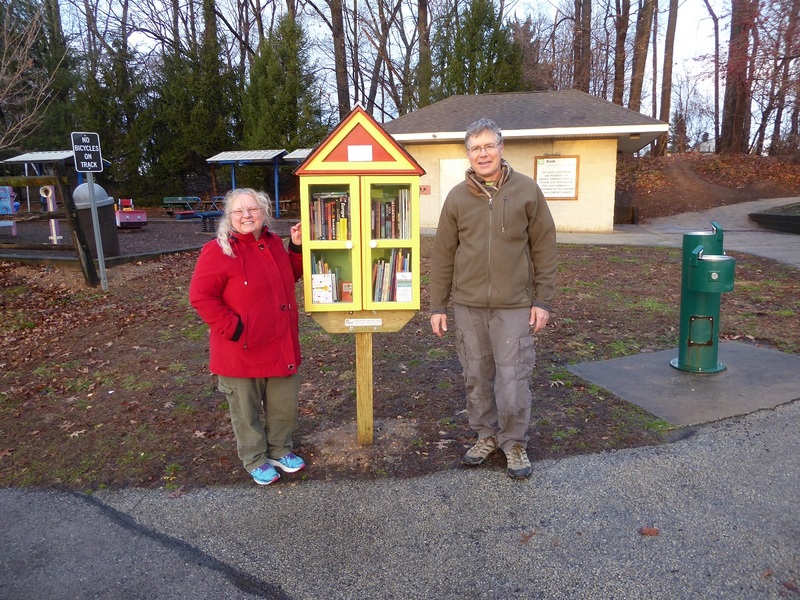 Little Free Library #80236 reporting for duty. And there she is! The Broomall Rotary Little Free Library! We installed it yesterday in Veteran’s Park and then we sat in the car and watched three women be our first guests. President Leslie Stack-Library Steward and Chris Stack.